New vegan beauty products and brands are my favourite to find & try out!!! 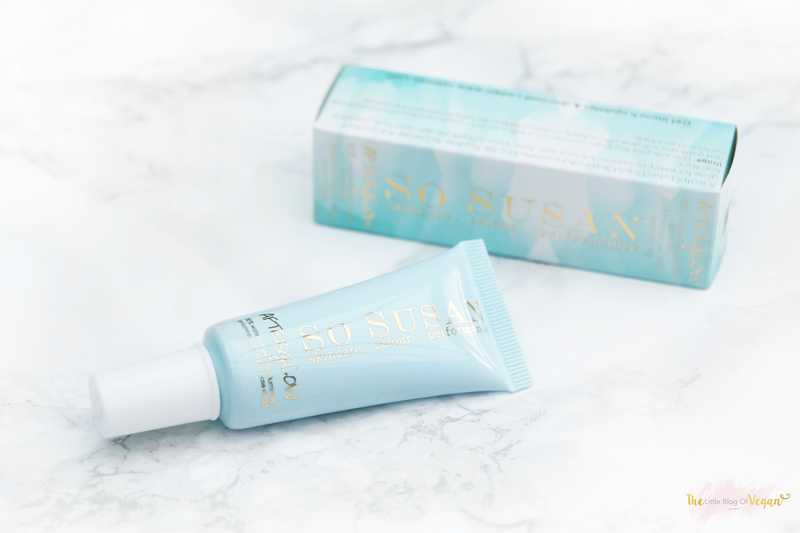 So Susan has a been a company i have liked ever since i came across them online whilst looking for Vegan lipsticks! So Susan products are also free from Parabens. Read up why you should choose Parabens free! "We never test on animals...how could we? Our Integrity Commitment™ means we are 100% against animal cruelty." I was able to get my hands on 5 of their brand NEW products. 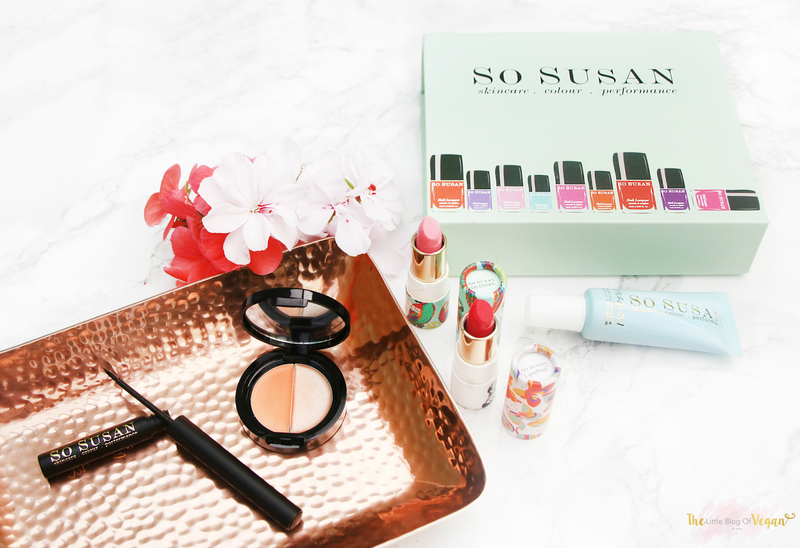 The So Susan lipsticks come in an adorable card case with cute prints on! Parrots and Social Butterfly are 2 of their Vegan lipsticks! Parrots is a light pink colour and Social Butterfly is a dark pink/red. I really like these lipsticks as they are creamy, very pigmented and long lasting! I especially love pink tones and the 'Parrots' lipstick has an hint of baby pink which is really pretty! Its become a new go-to for me! Eye liner is a necessity in a makeup bag! 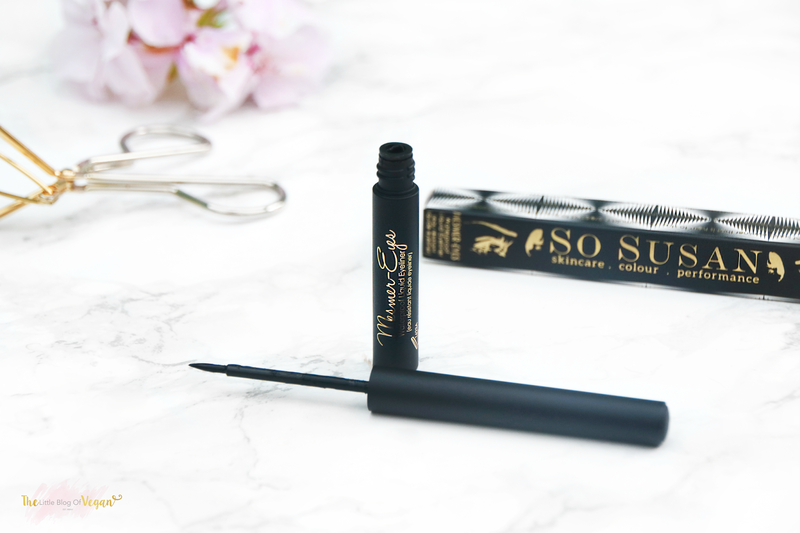 I love the Mesmer eyes liquid eye liner and it looks chic and is easy to use due to the long, slim handle. It's in the colour black and has been made waterproof so that makeup stays even throughout those rainy days! It gives a really nice, thin black line but if you wanted a thicker line, apply more pressure! It's Hypoallergenic which is great if your like me and struggle with products that go near the eyes! It didn't make my eyes sore or watery...so it gets a big thumbs up from me! I applied Afterglow after powder and it gives a subtle but pretty shimmer/soft-glow effect. It can be used on your cheekbones for definition, eyebrow bones...anywhere light would normally hit your face! Skin Salvation is a Skin Mattifying Primer & Perfecting Luminizer. Its a great travel sized 2 in 1 makeup bag essential! I have fair skin and the primer is perfect for me! It's doesn't apply orange to the skin! 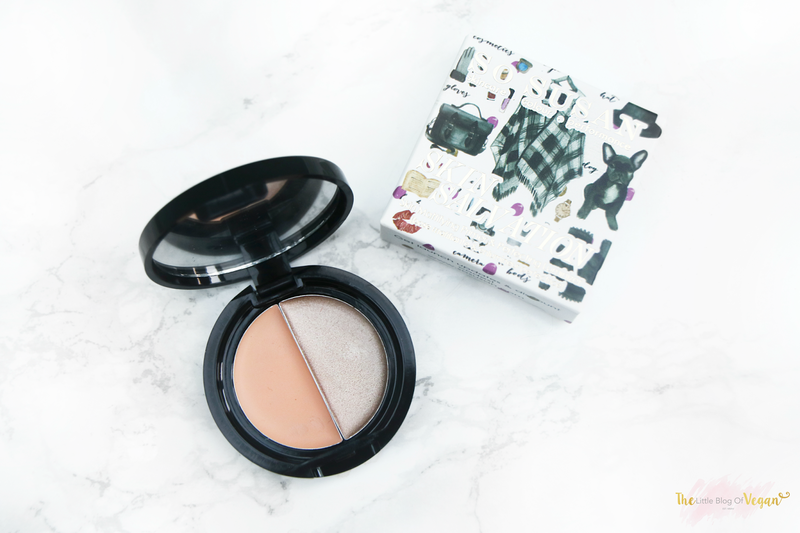 It has more of a bronzy look whilst the luminizer has a subtle shimmer & radiant glow! I really like it!!! All these products are great quality & would be lovely wrapped up as a special gift for a makeup/ beauty lover! A big thank you to So Susan for kindly sending me these lovely products to review! I honestly love them & So Susan for creating vegan products!!! Nice cosmetics! My girlfriend wil love this!